If you’ve recently purchased an antenna through our indoor antenna guide or our attic antenna review, you might be wondering why you’re not getting as many channels as us. Antennas are a fickle thing and even though we said that the 1ByOne Attic Antenna is the best of the bunch, it might not provide the same results for you. Location, building material, and landscape interference can all have a huge impact on signal strength and prevent you from picking up important cable TV channels. 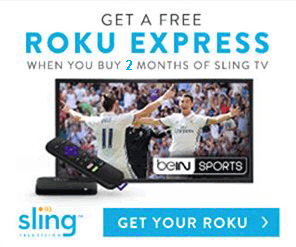 Everyone likes free cable TV, but you shouldn’t have to jump through hoops to get it. Besides purchasing a large outdoor antenna and mounting it to your roof, what can you do to boost your antenna signals? The following guide contains our hints and tips that should help you get the most out of your antenna. 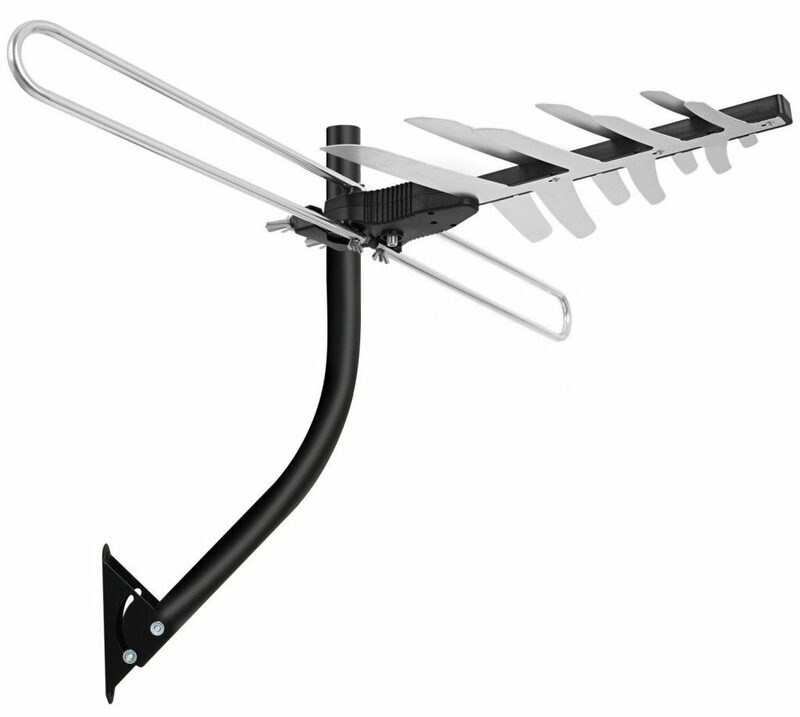 One of the biggest factors in picking up free cable TV signals is the height of your antenna. Although attic antennas are typically larger and more powerful, the fact that they are mounted higher than an indoor antenna is one of the primary reasons they pick up more signals. If you don’t have access to an attic (apartment or condo perhaps) and want to stick with an indoor antenna, something as small as moving it from the middle of a window to the top can have a big impact on what stations you can pick up. The ultimate decision on what height to mount your antenna is one of both signal availability and practicality. There’s no point in getting a large and expensive mounting mast if it’ll barely increase your reception. Especially if there are other methods in this guide that might be cheaper and just as effective. We recommend moving your antenna as high as possible without being excessive and then trying some of the other methods before returning to the height issue. If antenna height the most impactful change you can make to boost your antenna signal, antenna location is a close second. The main goal of antenna location is to provide an unobstructed line of sight between the antenna and the tower transmitting the signal. Typically, indoor flat antennas are mounted on a window or an outwardly facing wall and hopefully pointed towards a signal tower. If you’re unsure of the exact direction the towers are from you, we recommend checking out TVFool.com and plugging in your address. We wrote a complete guide on getting free cable TV that includes how to read a TVFool report, but we’ll summarize the tower location part here too. Once you fill out the information on TVFool’s form, it’ll show you a page that has this circle in the top left corner. This is all of the signals you can pick up and the direction they are from your location. Imagine that your house is in the middle of the circle and that this radar diagram was placed on a map. TrueNorth would be straight up on the map and the red N would be north according to a compass. You’re going to want to position your antenna to face the direction that the lines are coming from based on which channels you’re most interested in picking up. For example, for the radar map from our Boston office above, most of the channels we’d like to receive are north west of our location. 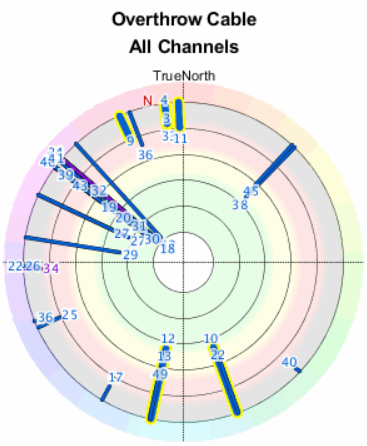 Therefore, to pick up a majority of these channels we’d try to place our antenna in a window facing the north west. You might not have a window pointing exactly the correct direction, but you should try and use the radar map as a guide to get it as close to that direction as possible. This might seem counter intuitive to the points we made above, but it’s something that lots of people have sworn by. The reason for this has to do with line of sight to broadcasting towers. If there is a forested area or a mountain range/hills in the direction you point your antenna you might not get good reception because the signal is bouncing off the obstructions. By turning the antenna and laying it down flat, you’re now trying to pick up signals vertically and over the obstructions rather than through them. There are other situations like smog that can result in better receptions from an antenna laying down too. The main point we’re trying to make is that sometimes testing out obscure directions to point your antenna can result in some surprising outcomes. This is a “simple” solution that can work wonders to boost your antenna signal. A lot of antennas, like the Mohu Leaf, come with RG59 coaxial cable. 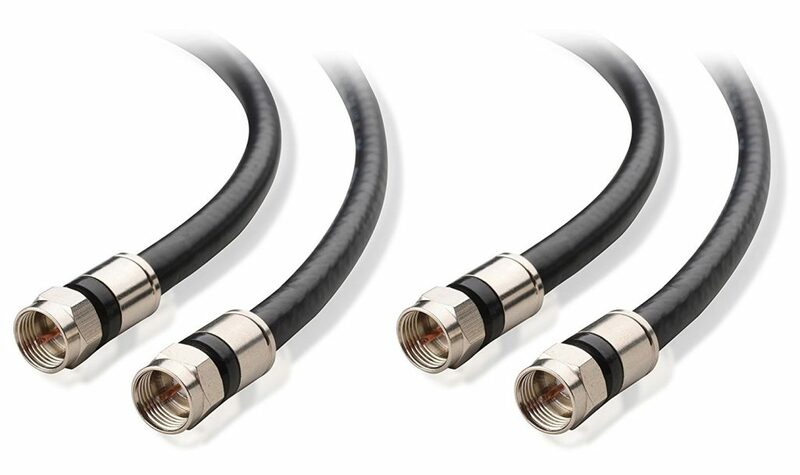 You can confirm which type of coaxial cable you have by looking for the printed writing on the cord itself. Even though the RG59 coaxial cable will work, you’ll likely experience better signal quality with a beefier cable such as the RG6. A lot of people reuse coaxial cable that they have left over from their cable subscription days for their antenna. Typically, cable providers use RG6 since they are more reliable and don’t cost a lot more, but make sure to check. It’s usually labeled, but sometimes you’ll have to just try it without knowing and see if it helps. Whenever we write about antennas we recommend our users get an amplified antenna that can be removed. You’d think that an amplifier would be nothing but beneficial to signal strength, but that’s not the case. Typically, amplifiers can make reception way worse if you’re in a location with strong signals. The amplifier can cause the stronger signals to overpower the weak ones and results in a worse reception experience. It’s typically a quick process to remove the amplifier and is worth testing. Even if your TVFool report doesn’t show you in range of strong signals, this tip is a quick enough test that it’s worth trying. Amplifiers are fickle and some people actually receive more channels without an amplifier than they would if they used one. Similarly to trying the antenna without an amplifier, you should try adding one to your antenna and see if it helps. Usually, people who live 20 or more miles away from the station they are trying to pick up benefit the most from an amplifier. If your TVFool report has a lot of yellow or red channels and you’re struggling to pick them up with an indoor antenna, you should probably try adding an amplifier before upgrading to an attic antenna. We try and recommend antennas that come with a removable amplifier that doesn’t greatly increase the cost because even though they are finicky, amplifiers do help in certain situations. Keep in mind that it might cause more harm than good, but it’s definitely worth a shot. If most of your signals are coming from a specific direction (like our Boston example above) a reflector behind the antenna might help. You don’t have to purchase anything fancy (at least not for testing) and can probably even use something you have laying around the house. We’ve experimented with baking sheets and pieces of duct work to make our own reflectors and have had success with most reflective materials. Leaning a baking sheet behind the antenna is probably the fastest way to test a reflector. It’s not an elegant solution, but at least it will help you know if purchasing a real reflector is worth it for you or not. Since most of the indoor antennas come with 10′-12′ coaxial cables it’s likely that your antenna is mounted close to your TV. You probably have a DVD player, maybe a Roku device, a PlayStation, and some stereo equipment on your entertainment center. All of these devices (including your router!) use electricity and can therefore cause electronic interference. Before you go crazy moving around the electronics next to your TV, or moving the antenna to a sub par location, try turning off all of the unnecessary electronics and then testing your antenna again. If you see any reception improvements then you know it was electrical interference causing an issue. Before you plug everything back in, try and find out exactly which device is causing the issue. Turn on one device at a time and check the signal again in order to isolate the problem. It might be a single old VCR that you don’t even use anymore causing the problems and is a lot easier to move one device than it is to find a new location for your antenna. We’ve found that Wi-Fi routers have been particularly troublesome, but those are easily relocated to a different spot your house. If all else fails, you might have to upgrade your indoor antenna to an attic or outdoor antenna. We’ve written a guide on the best attic antennas of 2018 and some of the recommendations are fairly inexpensive. If you don’t want to read the full guide, our top rated attic antenna was the 1ByOne 85. We don’t recommending trying too many indoor antennas since there’s not really too much of a difference between them. 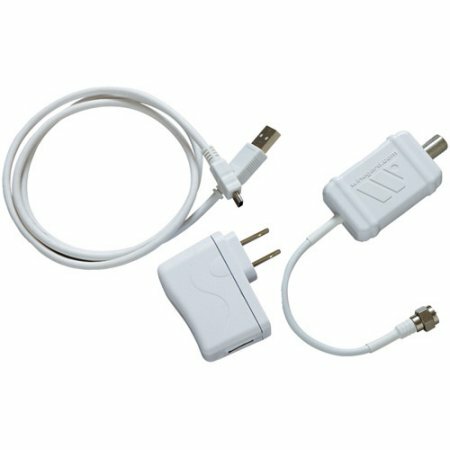 If you already have one with an amplifier and it’s something slightly better than rabbit ears, you won’t gain much by buying and returning additional indoor antennas. The upgrade to an attic or an outdoor antenna is quite significant though and definitely worth a try if your indoor antenna isn’t performing well enough. Most of the antennas in our attic antenna review are able to be mounted inside or outside. You’ll typically get better reception with an outdoor antenna, but at the cost of it being impacted by weather. Buying an antenna that can be attic mounted or live outside means you can try installing it in the attic first and seeing if it’s successful in improving your reception. If not, you’ll be able to easily move the antenna outside without having to purchase additional hardware. The final step to trying to boost your antenna signal is to replace your TV. This is obviously one of the most expensive fixes and might not be practical for a few extra channels. The reason a new TV can improve your signal is due to the way your TV receives the signal; through a tuner. Most of the major brand name TVs have good tuners built into them, but a lot of the older models and no-name brands might be lacking. 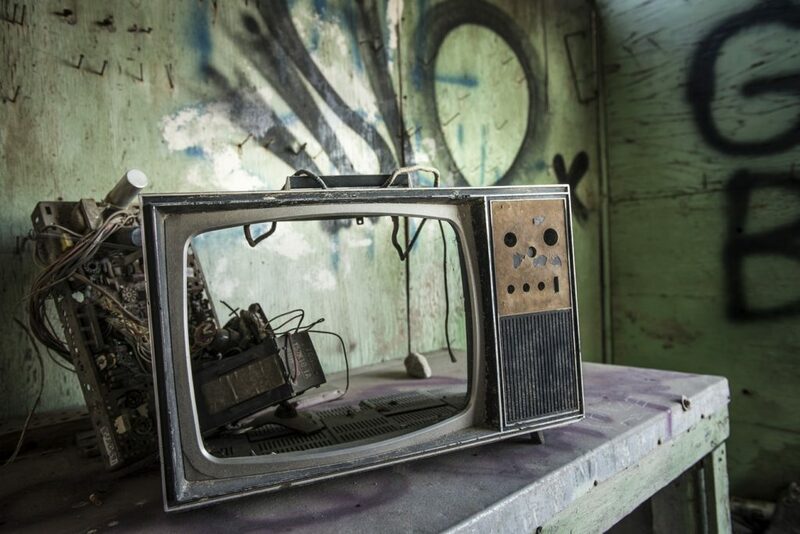 It might be time to upgrade your old TV! It might be cheaper for you to look into something like Sling TV to pick up local stations than it would be to buy a TV just for an updated tuner. However, if you were thinking about upgrading your TV anyway, buying a major brand with a good tuner can make the world of a difference.